Founded in 2004, Evinco Solutions Limited ("evinco") is one of the pioneer IT companies in Hong Kong, providing innovative e-solutions and consultancy services for customers, including multinational and local enterprises. 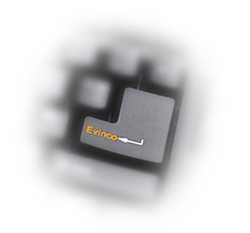 Evinco has a world-class professional team with direct knowledge of the industry, extensive research and development experience, and unique administration skills. Our technical team processes different programming/web development skills and has worked with small to multi-national organizations. Through our professional team members, innovative solutions and quality services, we brought real values and results to our clients. Evinco aims at developing innovative business software. We adopt industrial standards to ensure the best quality of our products. We uses state-of-art technology, driven to provide a complete solution to fit current and future needs of customers.